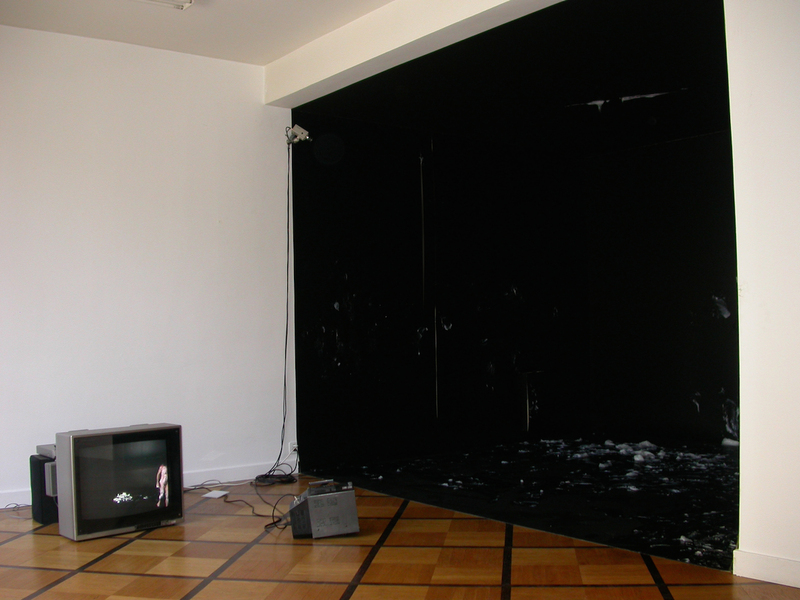 Harutyun Simonian (lives and works in Yerevan, Armenia) will present at the cec, video testimony of a performance achieved in camera and previously transformed into a private theater, a sort of black box whose interior coated with vaseline is made impassable. This action between body art and dance, put the artist in a constant imbalance, always at the limit of the fall. This body is loss of balance Harutyun Simonian use it as a metaphor and comment on the disorientation both political, cultural and identity, consequential moral vacuum left by the end of the Soviet authoritarian political system.